Pages and profiles are getting deleted from today. Google+, the search engine giant's grand attempt at a social network, is finally shutting down, starting today. 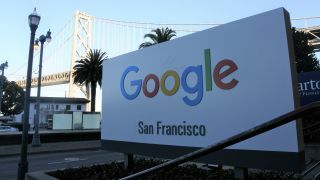 Google is living up to its earlier promise of beginning the shutdown on April 2 2019, and if things go according to its original plan, the network should be past tense after 'a couple of months'. Even though the network never really resonated with its audience (the joke went that only Google employees use the network, and only because they have to), and the analysts only gave it a couple of months to live, Google+ somehow managed to stick around for good eight years. That is, if you consider being on life support 'sticking around'. The almighty Google decided to shut the place down, but only after a couple of data breaches were uncovered. That's when the company announced a gradual discontinuation of all things Google+. The process started by Google preventing the creation of new profiles, pages, communities and events. This kicked off in February. As of today, Google will start deleting all accounts and pages, together with all the information residing within these – photos, videos, stuff like that. If you have any valuable data you'd like to save from the platform, Google has created step-by-step archiving instructions which you can find here. However, not all pages will be deleted. If a page owner is also a G Suite user – the page will remain. Another interesting takeaway from the Google+ shutdown is the fate of other features, like Google+ Sign Ins or Google+ Comments. Google+ Sign In will, most likely, be replaced by a Google Sign In. Google+ Comments will stop working 'in the coming weeks'. All Google+ APIs will be shut down, as well.